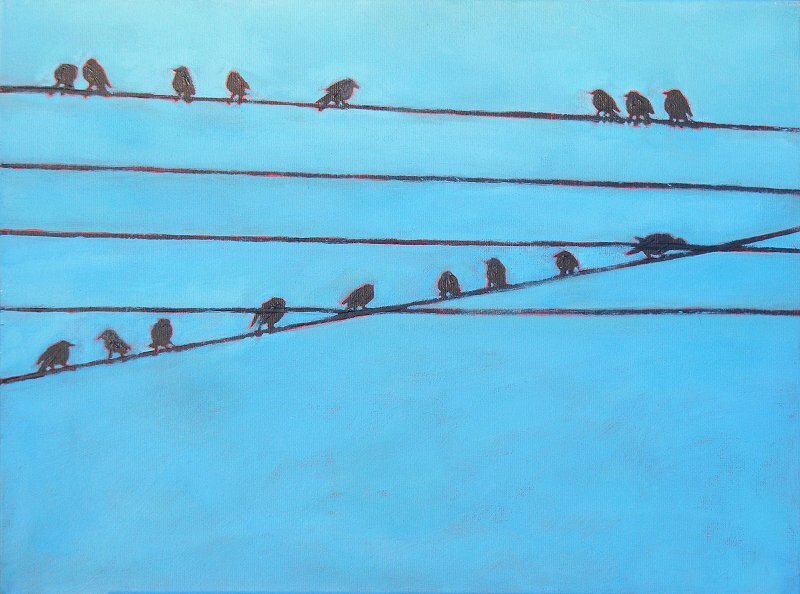 This is the eleventh painting in the series of birds on wires. The first 9 paintings in the series all sold fairly quickly, and I honestly don’t know how many more I might do if any. I suspect colours and dimensions of this series of paintings might change but that really depends on what I see when I take the dog for a walk and look up. 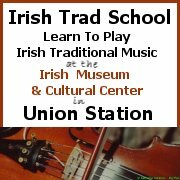 You can obviously save the delivery charge by coming out to my studio in Lucan and collecting the painting. And if you’re known to me you could always pay me direct and save me the processing fees. Direct means personal cheque/check, account transfer, or that stuff called cash. 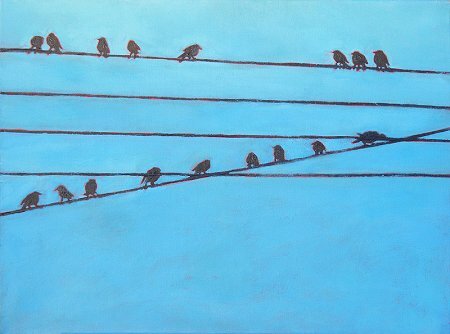 Birds, Wires 11 is now SOLD. The painting Birds, Wires 11 continues around onto all 4 sides, which are 0.75″ wide.